It had been nearly six months since I had been smothered by my mother. Stepping out of the cab, my mind sent panicked messages to my body to prepare itself for a hug half a year in the making. Thankfully I had been in this position before and my muscle memory kicked in, shifting my weight onto my back heel as my mother’s body barreled into my chest. Perfect form. She still had it. As the saying goes, “there is nothing like a mother’s love for her children.” In that moment, I experienced enough physical reinforcement to never second guess otherwise cliché English sayings. It had been a long time since I had felt my family. 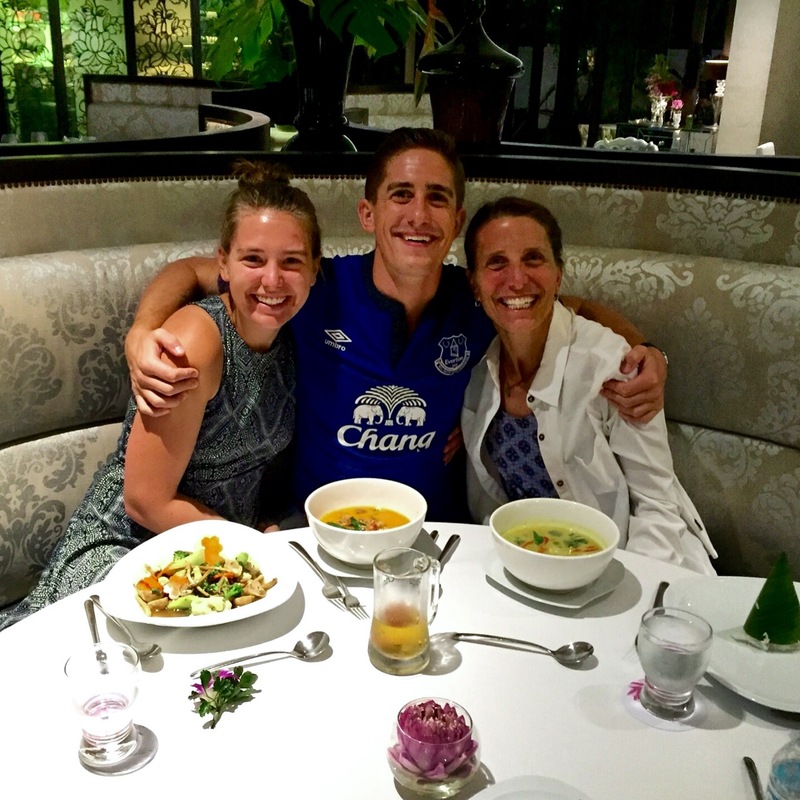 Nothing brings the family together like time apart and Thai food. I was fortunate enough to see my mother and my sister for a few days as they concluded their nearly 1,900 km trip from Singapore to Bangkok. Although our time together was short, less than 72 hours, it was the refresher I needed as I head into the final few months of my Fulbright teaching experience in Malaysia. While we filled our days with excursions, sightseeing adventures, breakfast buffets, mango sticky rice and vegetable green curry (no meat for my vegan counterparts), I couldn’t help but establish connections between my brief holiday and my teaching experience. No, I was unable to leave my teaching hat back in Malaysia. These days, I never leave home or travel anywhere without it. As an educator, I am always viewing the world through a teaching perspective. For those who may not possess a teaching background, recall your time as a lifeguard or concession stand operator. Whenever you go to the pool or snag a snack at the football match, the brain subconsciously rekindles those youthful memories. Even today, years after my last life guarding job back in early secondary school, my eyes still restlessly scan the pool. I interact with the world around me as if it was one giant teaching resource. Is this newspaper article too difficult to utilize during a learning activity? Can this photo serve as a conversation starter? Would this song be appropriate transition music? How can I relate this experience to that of my students? This continuous cycle brings me joy. My greatest passion is embodying the teaching profession. Reflecting back on my time with my family, albeit brief, there was one link to the teaching profession that stood out. During my 72-hours in Bangkok, I became more aware of the role a strong support system plays in the development of an individual. Even though I have been living in an entirely different culture than that of the one I was raised in, I still approach situations like I was raised to do. Despite the fact that I am living halfway across the world, I still personify my upbringing both consciously and subconsciously. Subconscious actions are the result of previous experience. I subconsciously altered my body to receive my mother’s initial embrace because I had lived that experience many times before that. My interactions with my students, the growth mindset I approach each class period with, the patience I impart as I speak with them and the pride and professionalism I carry with me are the result of my upbringing. That upbringing came thanks to great teachers both in and out of the classroom. I come from a long line of educators. As such, a love for teaching and learning has become woven within my soul. However, this does not mean a life in the teaching profession was forced upon me. I remember my parents reiterating time and time again that I should put my effort into pursuing the things that made me happy. As a result, I experimented with different things until I realized that a life as an educator was what brought me the most joy. However, my parents were not the only ones who served as powerful allies in my support network. I spent much more time at school than with my parents. For their part, my classroom teachers echoed my parent’s encouragements. They served as the ultimate role models and I was willing to do anything to earn their praise. In addition, they provided me with learning opportunities to experiment and kept me on track when I would wander too far off course. Thinking back on my time in the classroom, I am grateful that my teachers accepted and supported me. They structured their learning environments and classroom cultures in a way that encouraged me to develop both intellectually and socially. Some of the most sought-after learner centered concepts emphasized in educational pedagogy today were implemented by my teachers back in the mid 1990s: Classroom rules were co-created to encourage complete devotion to maintaining a positive classroom environment. Any deviation or blatant violation of these behavior structures were immediately addressed and corrected. Even though I did not realize it at the time, my teachers’ devotion to establishing and maintaining a positive and safe learning environment contributed to my development. In my case, I realize that some of my students may not receive this level of encouragement from their family. They may be told that they are going to become an accountant or become their father’s apprentice and eventually run the family business. However, that does not mean that my job as their teacher should change. Just as my teachers did for me, I must structure my classroom community so that my students view me as a member of their own support systems. The 72 hours I spent with my mother and sister were well worth the long wait. And yet, the long wait combined with our brief reunification allowed me to appreciate the importance of strong support networks in and out of the classroom. I am fortunate to be the product of such a loving family. They taught me to chase my dreams and find my own path towards happiness. However, I am also who I am today because of the role of my teachers. Their guidance and compassion only bolstered my parent’s messages and ensured that I became a successful individual. As I continue my own teaching career, I will look to emulate those who mentored me so that my students can also thrive on their own. 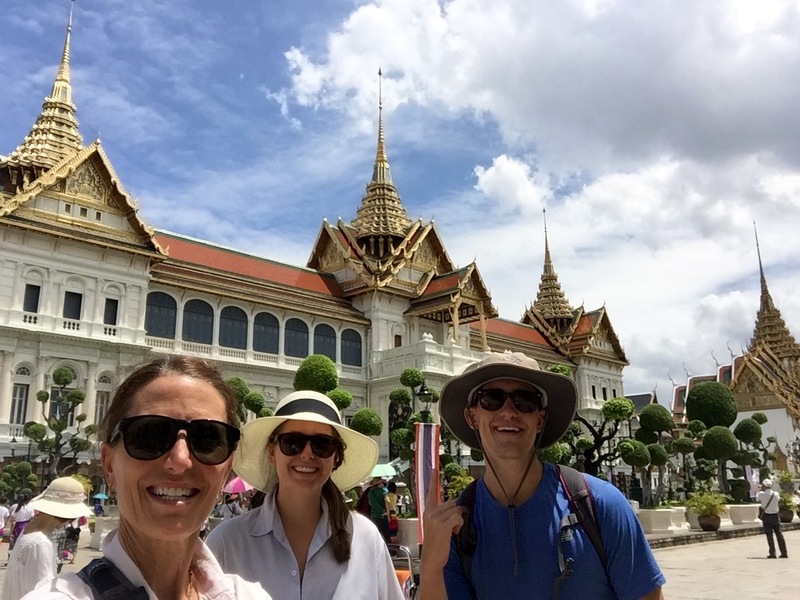 The only things grander than the Grand Palace are the people in this photo. Next Post Mr. Max, Why You Gotta Be So Rude?